Sebastian Vettel ended his and Ferrari’s Formula 1 win droughts as he beat Mercedes’ Lewis Hamilton to victory in a thrilling Malaysian Grand Prix at Sepang. The German chose to stay out during an early safety car period and assumed the lead. 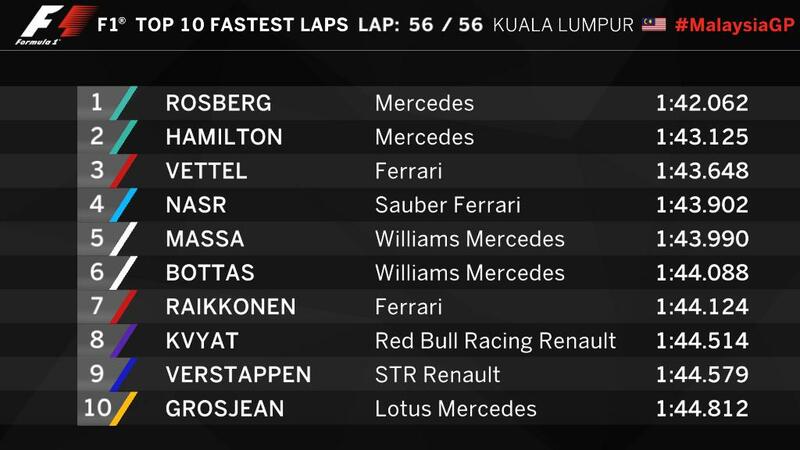 Vettel then made a two-stop strategy work while Mercedes did three stops with Hamilton and Nico Rosberg. It proved to be the wrong call for the world champion team as neither Hamilton nor Rosberg had the pace, tyre longevity or enough laps to catch and pass Vettel in the final stint. It was Ferrari’s first victory since the 2013 Spanish Grand Prix, and Vettel’s first since that year’s season finale in Brazil. Kimi Raikkonen recovered to a strong fourth in the second Ferrari having dropped to the back of the field following a puncture sustained in contact with Felipe Nasr’s Sauber on the first lap. Scuderia Ferrari: Sebastian Vettel won the Malaysian Grand Prix for Ferrari at the wheel of his SF-15T. Having started from second on the grid, the German managed to finish ahead of the Mercedes duo of Lewis Hamilton and Nico Rosberg. His team-mate Kimi Raikkonen finished fourth, after having to make an unscheduled pit stop on lap 2, because of a puncture. He then fought his way back up the order to finish just off the podium. The Formula 1 circus will be back in action after a two week break, at the Shanghai circuit in China. From ferrari.com – Kimi: “We had a pretty poor weekend in terms of things going wrong. I had a good speed but in qualify it didn’t go well and then today, after a poor start where I had too much wheelspin right off the line, I found myself fighting with all the other drivers and I had a puncture on the rear left tyre while battling Nasr at the last corner, which means I had to go one full lap before coming back to pits with no tyre. At that point my floor had got a little bit damaged, I had to do a full lap with no tyre and then, even if the safety car helped us, I had to start from way back behind. We did our best and the forth position was the maximum we could achieve. The win of Sebastian is a very good thing for him and for the whole team , knowing how difficult the last year has been; it’s a very good job what the team has done. We knew from winter testing that we have a good car, so it did not come as a total surprise, and probably the track with these high temperatures suited us. I don’t know how it will be in other circuits, but the car has been strong so far, not yet as we want but we have a good package, and we are getting stronger”. Ferrari is back up there, thanks mainly to the heat. In cooler temps, Mercedes will kill them again. Pity about ‘Bad Luck Raikkonen’. But great recovery though. 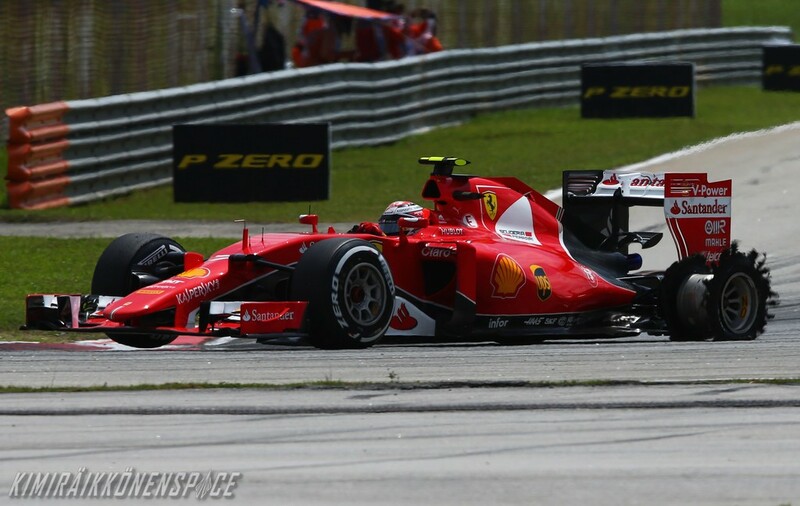 Too bad for the bad luck, but Kimi and Ferrari have to sort out qualifying. He wouldn’t get hit if he was father up the grid. Don’t be concerned for Raikkonen. The pace of the driver and the car is here. He just need clean weekend and podiums/wins will be normal thing. Concerned though because look at his points deficit to Vettel already, through no fault of his own. Ferrari will favour the German. i have started avoid using the word ‘luck’ on Kimi and also feel irritating when people talking about it on Kimi. 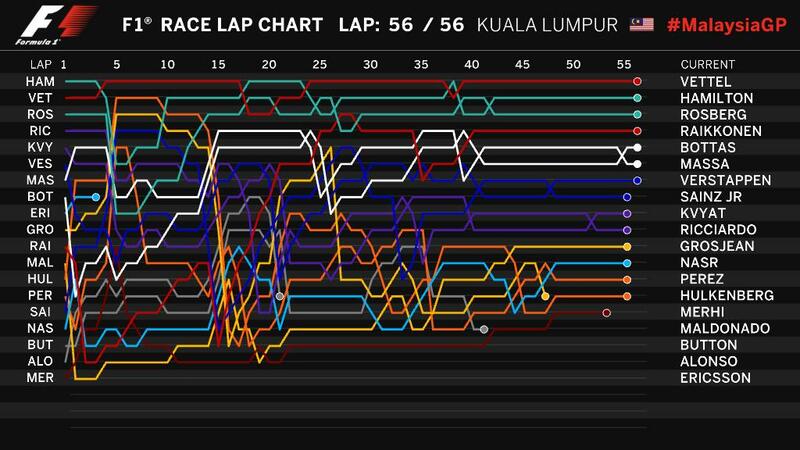 Kimi just need a clean race to show people where he is at the end the race. If Vettel continues to hv the upper hand soon Ferrari will favorite him more.